printing large complex graphics, logos, alphanumerics & barcodes. Some of the lowest maintenance costs in the industry. and meet both tamp and corner wrap applications. printing you need at the price you want. making it the smartest valve jet printer on the market. High-resolution case coding equipment with the best warranty in the industry. Small character industrial inkjet printers offering reliability and low maintenance. 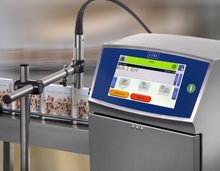 All-electric label printer applicators. Reduce energy and save money. 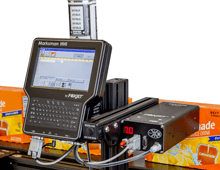 Robust industrial inkjet printer technology made for the industrial marketplace. Large character valve jet basic case coding. 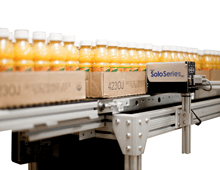 All of FoxJet's labeling and inkjet case coding solutions are created with the goal of decreasing total cost of ownership with providing a clean operation, up-time and low maintenance. 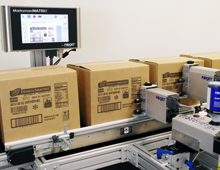 Let us show you the benefits of our inkjet coder equipment and how we can lower your case coding cost plus meet all of your barcoding and labeling needs. 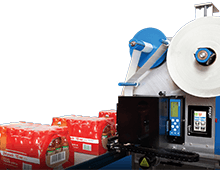 A large number of customers continue to use high-priced preprinted labels in order to code boxes that require extensive. . . The Produce Marketing Association has developed recommendations for case bar coding formats to support the produce . . . In the past, canning facilities were simply required to place product information as well as variable date and time information. . . Many soft drink bottlers need to place a date code, lot code, and expiration code onto their tray packs. A large number of. . . In order to meet the varying demands of consumers, almost all manufacturers produce multiple items whose only difference. . .